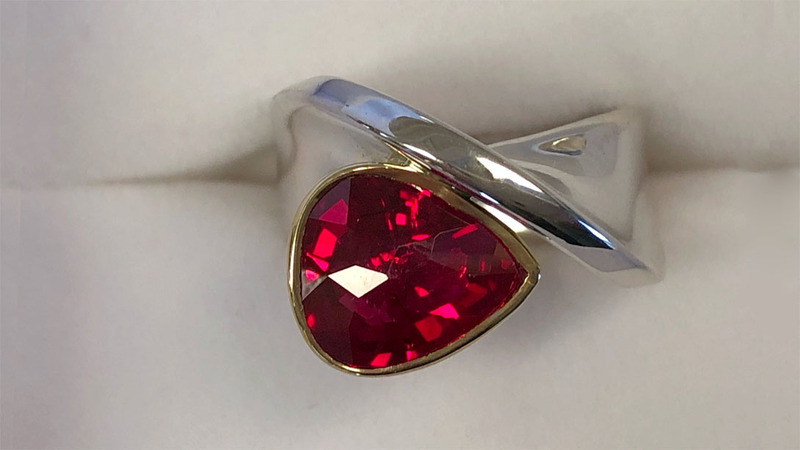 she mailed me the ruby, purchased on a trip to the far east. 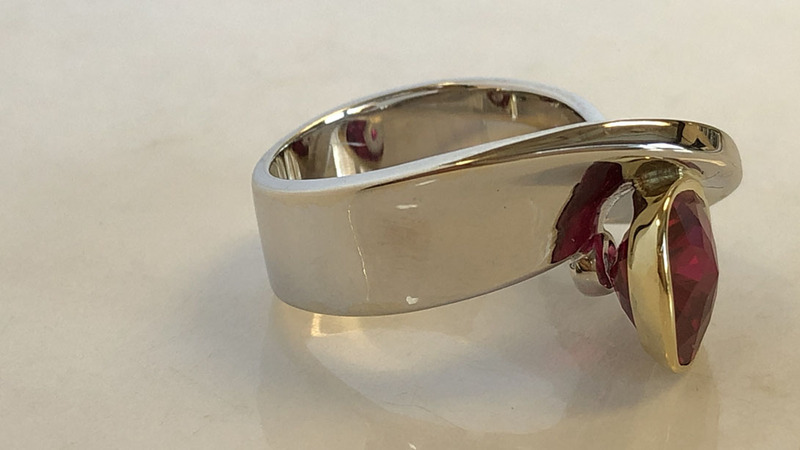 she wanted the flexibility to wear her diamond channel wedding band with the new ring, so i needed to make sure there was a flat side on each rings so they would fit together. 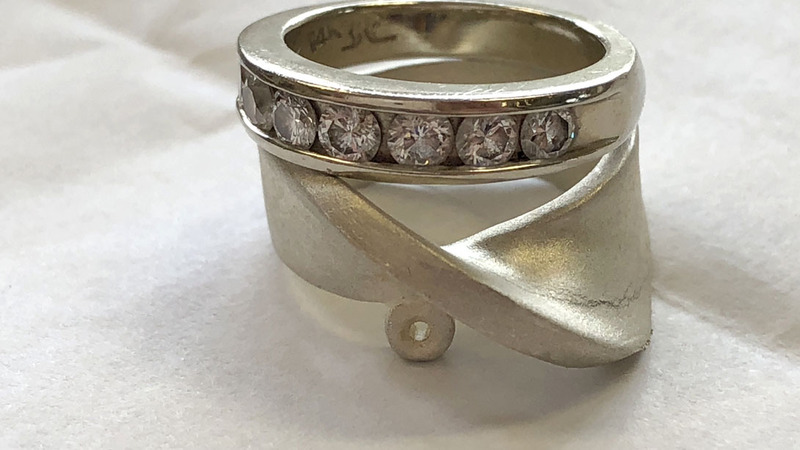 knowing from previous projects that she preferred clean lines, i thought of a mobius band which is an endless, repeating, flowing, clean design. 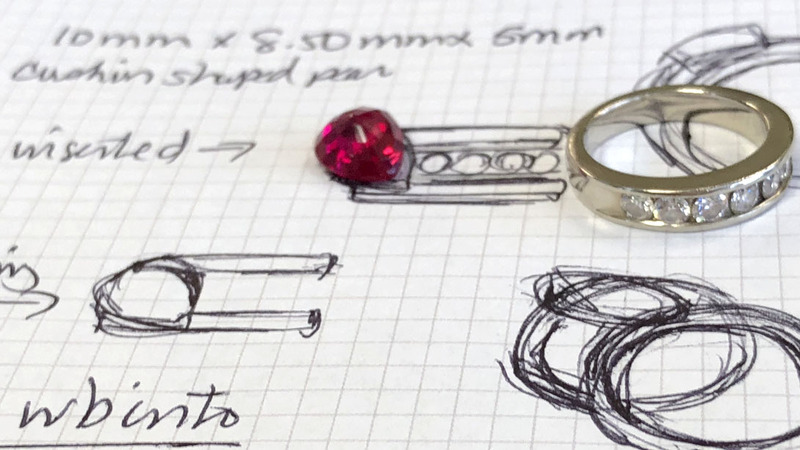 once i settled on the mounting, i “saw” how the stone should be set in a yellow gold bezel. 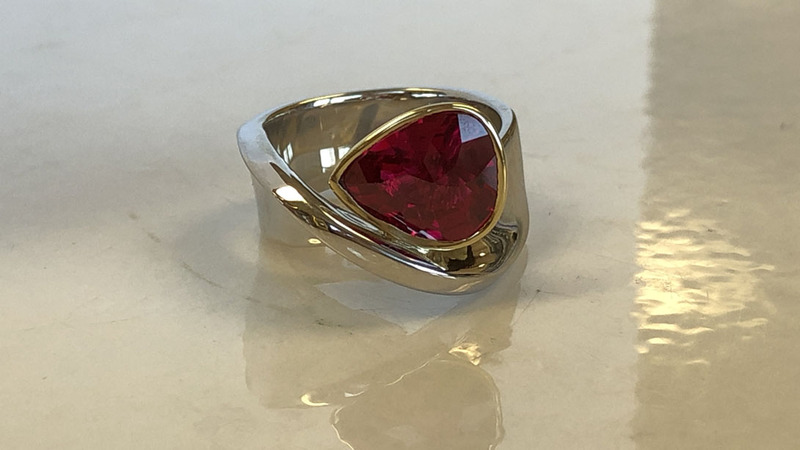 prongs would have been too fussy, and i wanted contrast between the white gold and the red of the stone. colored gems always look great set in yellow. 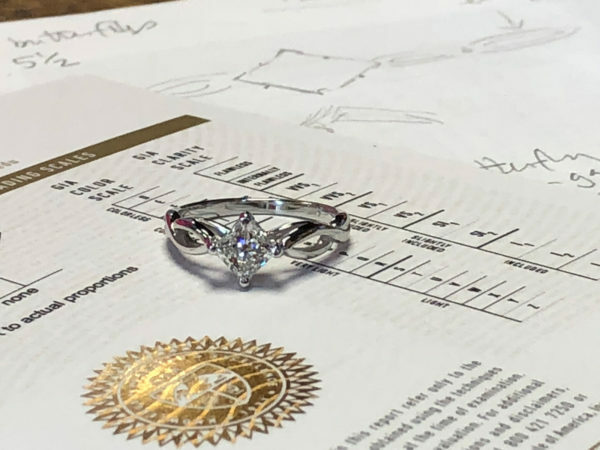 the ring and design are all me, the stone and patience are all her. she has the patience of a saint, because sometimes i have to sit and ponder even before putting pencil to paper. 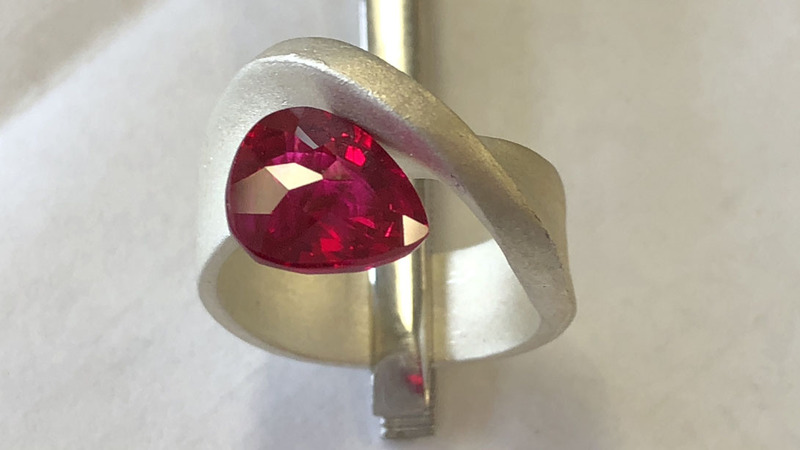 our traditional process is that we have a brief conversation after she sends me a stone or a piece from her collection or passes her ring to me across the table during brunch! the conversation continues into sketches. some designs are rejected and one is usually loved. 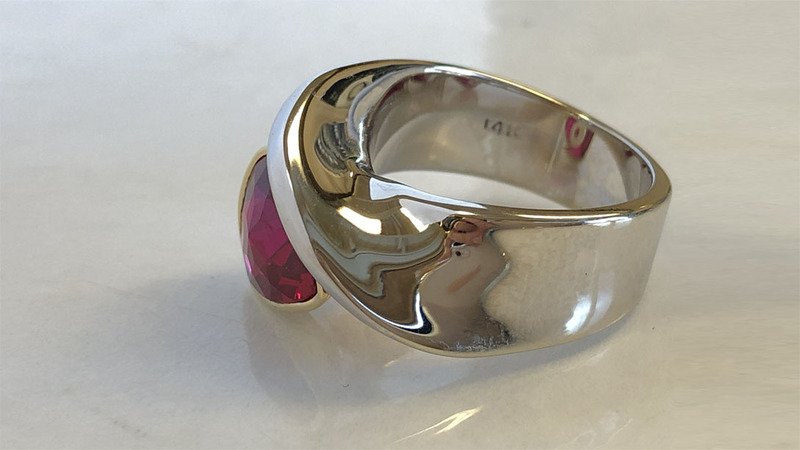 in this case, the mobius band. the word “client” does not do justice to the relationship i have with this person – “patron” is a more apt word that comes to mind. the couple are very close friends of my sister and she made the initial introduction some time ago. 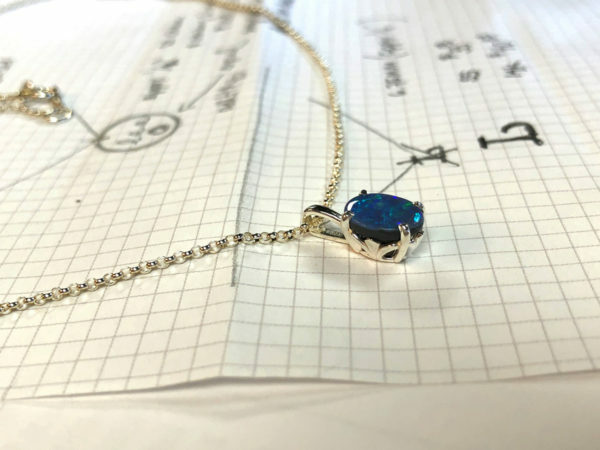 other jewelry commisions i have had the pleasure and challenge to design for her included a double-sided coin pendant with garnets, a white and yellow gold emerald band and a sapphire diamond ring in platinum and 18k yellow gold. 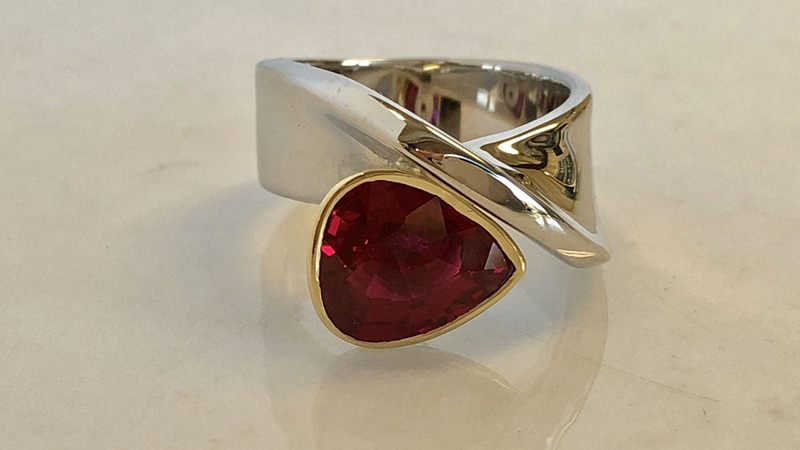 14k white gold mobius ring with a treated ruby. 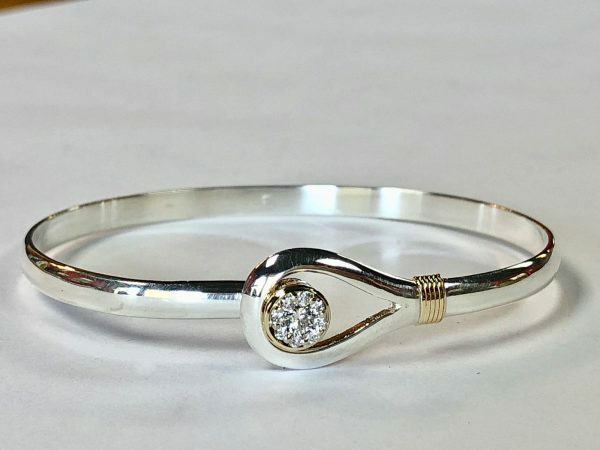 pear-shaped stone set in an 18k yellow gold fitted bezel. i love designing for her, makes me think!